It was a spectacular afternoon to be in Clyde River to celebrate the 2014 Garden Party and Concert in Murchison Place Park, hosted by the Clyde River Women’s Institute. The large audience ranged from a few months old to 95 years old. 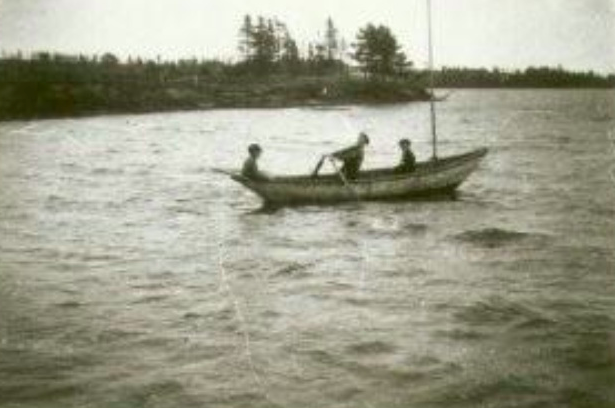 Along with community residents, there were guests with connections to Clyde River, those home from away, and others who had lived in Clyde River many years ago and saw this as a wonderful homecoming. Piper Matthew MacLaine – A highlight was Amazing Grace. Patricia Murray played and sang both Gaelic and English songs. The afternoon closed with everyone singing “This Land is your Land”. In the closing remarks, Doug Gillespie mentioned that it was also 150 years ago when Dog River was renamed Clyde River, so we had two reasons to celebrate today. One special treat was a song called “Home” performed by Patricia Murray. Patricia adapted music to the lyrics of a poem written by her Great Great Uncle Frank Gillespie while he was in Hawaii in the late 1800s. The poem was discovered in the online Guardian archives earlier this year and passed onto to the family. This poem and song will be further featured in an upcoming story. Some of the ladies, gentlemen and children of the community dressed in period costume which added to the charm of the event and made for lovely photos. After the concert, guests were invited over to the Riverview Community Centre for fresh biscuits, jams, tarts and cookies prepared by Thelma Gillespie and served by community volunteers. There was a celebration cake decorated with the 2014 logo. Prizes were given out for the oldest (Hilda Beer) and longest married (Eric and Wanda MacPhail). It was a wonderful way to spend an afternoon and many thanks to the organizing committee and other community volunteers for creating such a memorable and enjoyable event. The event was made possible by the PEI 2014 Fund. The organizing committee included Carol Richards (chair), Thelma Gillespie, Jo-Ann MacPhail, Lisa Ross, Nancy FitzGerald and Hilda Colodey. Clyde River will host a 2014 Celebration Garden Party in Murchison Place Park on Sunday, August 3rd, beginning at 1:30 p.m. Rain location will be Burnside Presbyterian Church, across the road. Stay tuned for further details on the program on this site as the time gets closer. After the park event, refreshments, fresh-baked biscuits and jam and other goodies will be served just a short walk down the road at the Riverview Community Centre. Prizes will be awarded. This event is made possible by the PEI 2014 Fund. The Clyde River Lecture Series continues this Saturday, February 15th, with “Renovating the Shaw Family Homestead” presented by Judy Shaw at the Riverview Community Centre at 1:30 pm. Judy is the granddaughter of Walter Shaw, former premier of PEI from 1959-66, and is now living in the family homestead in St. Catherine’s where she had spent summer vacations with her grandparents. Judy will speak about coming back to live in the family homestead that her grandparents built and managing renovations over this past year. The home is a modified Cape Cod style similar to homes built in the 1860s and particularly to a home that her grandmother lived in while she was nursing in Boston. The home was built in 1923 on a farm settled by the Shaw’s in 1808. Judy will speak about the interesting things she found during the renovation, what is unique about renovating an old family home and gardens of a place with so many memories, what to consider, what to keep and what to change. She will bring along some old photos as well as some before and after shots. The third in the series will continue the following Saturday, February 22nd with Jack Sorensen from the Tryon and Area Historical Society talking about “Capturing the History of a Community for Future Generations”. For more details, click here. The lectures run from 1:30 to 2:30 p.m. followed by refreshments. For a man who thinks he’s become a little rusty as a presenter, confessing he had given up public speaking some time ago, he certainly still knows how to fill a room and keep us hanging on his every word. Dr. Lawson Drake spoke about changes in farming, and with the room full, including many farmers, he did not raise himself up as an expert by any means. But what Lawson may be best at is observing life. He would have honed that skill as a biologist and inspired students with his passion for understanding living things. He had a good start in life having been raised in the heavenly spot of Meadow Bank with its grand views of the West and Clyde Rivers and surrounding communities of St. Catherine’s and Clyde River. He could see how things were interdependent and, when managed well, the land could provide sustenance and sustainability for its rural communities. He may have gone on to achieve his doctorate, but I suspect it was to more fully understand the wonder that surrounded him each day. And with his gift of speech, he passes that sense of wonderment to us, despite his modesty. Lawson began his talk highlighting that although PEI had been exporting products throughout its history, the last century saw farm acreage increase from a typical 100 acres to anywhere up to 1000 acres to accommodate larger production. Along with that, the number of farmers has decreased and, with those remaining, they specialized as dairy, potato, hog, poultry or beef farmers. Changes in rural community life led to a disappearance of grist mills, blacksmith shops, general merchants, cheese factories, district dairies, local schools, and country doctors. Traditions like working bees where people banded together with their neighbours and those from other communities to complete the harvest and when schools began the year in mid-August so they could close for two weeks at peak harvest for children to go potato picking are now part of history. He showed slides featuring pen and ink drawings from Meacham’s 1880 Atlas which give us an image of what farm life looked like 135 years ago, not unlike the farm where he grew up. He was a little skeptical that the properties of those days would be so neatly fenced and suggested the drawings portrayed an idealized view. He offered a handout with a list of words and phrases that were common in his farm boy vocabulary, reflecting early farming days and now considered rare words almost forgotten by some and, for others, not even known. 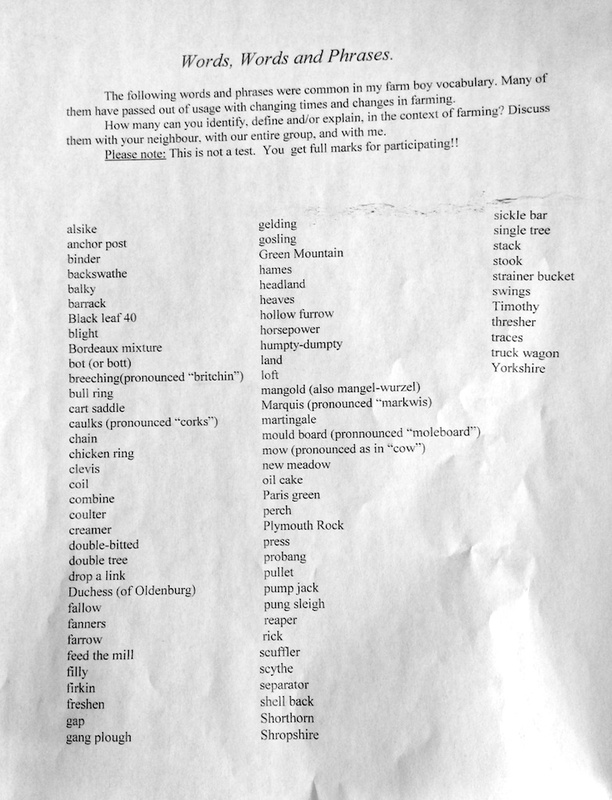 These words passed out of usage with changes in farming. The first word was “Alsike”, a variety of clover, which he used to describe a typical crop rotation in earlier days. The first year of a rotation, a field would be ploughed and planted with a root vegetable like potatoes, turnips or mangels. In the second year, a grain would be planted like barley, oats, wheat, mixed grain and under sewn with three kinds of clover along with a grass like Timothy. A new meadow referred to the first cut of hay that you took from that planting, rich in clovers…coarse red clover, fibrous alsike and short and sweet white clover. In the next year, the Timothy grass would take over and be cut for one or two years in the rotation. In the following year, the field would be used as pasture or maybe ploughed to begin another rotation. Fields of four to five acres featuring different crops and five or six-year rotation patterns are in the past. Where there were once several crops grown in succession before returning to the same crop, now, typical crop rotations are two or three years before replanting the initial crop. A barrack was a structure consisting of a roof supported by four poles which was used to store and protect hay. Barns were not large in those days, so a supplemental structure was required. A mow “pronounced like cow” was an area in a barn open from the floor to the roof which stored hay. Black leaf 40 was derived from tobacco and 40% nicotine sulphate, basically a powerful tobacco juice. It was used to treat lice on hens. Farmers would sprinkle a few drops in the hens’ nests and the warmth of the their bodies evaporated the juice, the fumes flowing up over them and exterminating the lice. Humpty-dumpty was a container that held 2.5 dozen eggs and featured special separators to protect them from breaking. A firkin is a 9-gallon container or small barrel used to store butter typically in the cellar during the winter months when cows’ milk production fell off. For the full list of rare words, click here. He finished off his talk with an excerpt from an “old reader”, a book of English literature from his school days that so eloquently describes the technique or art of using a scythe, authored by Hillaire Belloc in The Mowing of a Field, detailing the skill and pride taken in being a farmer. You can read the except, click here. Lawson brought along an old newspaper clipping that he received from Roy Jewell featuring a Clyde River School Fair held on September 11th, 1928, where pupils from Meadow Bank, Kingston and Clyde River exhibited agriculture products, handcrafts and baking that were judged by a Miss Maszard, Mr. Edward MacPhail and Mr. Walter Shaw. Agricultural exhibits included oats, wheat, corn, potatoes, tomatoes, onions, cucumbers, beets, turnips, mangels, carrots, cabbage, sweet peas, crab apples and plums. Crafts included sewing, crocheting, embroidered linen, milking stool, nail box, hammer handle. Animals included livestock and chickens. Plants included potted geraniums, mixed flowers, tree leaves and weeds. There were also categories for drawings and writings. The list of winners are well-known names that in many cases represent parents or grandparents of those currently living in the area. Thank you, Lawson, for an entertaining and thoughtful presentation that reminds us of how farming deeply connected our neighbouring communities. In between Winter weather warnings and following a little touch of Spring in Winter, we can think of what activities we would like to take in. 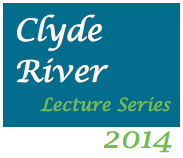 The Clyde River Lecture Series last year was popular and many people were asking if it could be continued. The Friends of Clyde River group extended invitations and we have three speakers confirmed for February. We hope for good travelling. Make sure to mark your calendars and plan to attend. Invite your friends and family from other communities as well. The lectures will take place at the Riverview Community Centre. This year, we are spreading the lectures out over the year, so here are the three that will launch the 2014 series. I think they will be well worth getting bundled up for and heading out to learn, meet friends and enjoy a hot cup of tea or coffee. Lawson Drake was educated at Prince of Wales College, MacDonald College, Cornell University and Dalhousie University. He taught biology and agriculture at Prince of Wales College and is now retired from UPEI where he taught biology. He served as the first Chair of the UPEI Biology Department and was its third Dean of Science. He is a native of Meadow Bank where he lives with his wife Eileen in a house built by his grandfather in 1881 on a farm that has been in the Drake name since 1852. In his lecture, he will lead an interactive presentation “Rare Words and Old Readers” where he will highlight changes in farming during his lifetime and from earlier times. For example, he might ask you, “If someone gave you a firkin, could you eat it, spend it, put it in the bank, give it to someone else, fill it or plant it? His talk will no doubt stimulate some interesting discussions about farming. Judy is the granddaughter of Walter Shaw, former premier of PEI from 1959-66, and is now living in the family homestead in St. Catherine’s where she had spent summer vacations with her grandparents. She is the daughter of Bud and Ethel Shaw who live in Oshawa, Ontario. Judy is retired but is working as a consultant. She is a graduate of University of Guelph and worked for 34 years in regulatory affairs, government relations and public affairs with Syngenta and its legacy companies (Novartis and Ciba-Geigy), that included six years at Syngenta’s Global Head Office in Basel, Switzerland, on the product development team. Judy’s passion for agriculture led to a philanthropic giving back program focused on agricultural leadership in Canada as well as sustainable agriculture and hunger issues; enrolment with Imagine Canada; and a leadership development program for grower association board members to enhance their effectiveness as advocates for agriculture. Judy is currently the President of the Canadian Agriculture Hall of Fame and Director with Genomics Atlantic and, among many other previous roles, she has been President of the Canadian 4-H Council. Judy will speak about coming back to live in the Shaw family homestead that her grandparents built and managing renovations over this past year. The home is a modified Cape Cod style similar to homes built in the 1860s and particularly to a home that her grandmother lived in while she was nursing in Boston. The home was built in 1923 on a farm settled by the Shaw’s in 1808. Judy will speak about the interesting things she found during the renovation, what is unique about renovating an old family home and gardens of a place with so many memories, what to consider, what to keep and what to change. She will bring along some old photos as well as some before and after shots. Jack Sorensen is a retired Electronics instructor from Holland College who is now dedicated to developing a vintage radio collection, researching and interpreting local history and being active in church, cemetery and watershed activities. He chairs the Tryon and Area Historical Society, Archives Committee at South Shore United Church and Tryon Peoples’ Cemetery. Jack will speak about the growth of their Historical Society and how it contributes to community spirit. Their activities include walks, talks, concerts, interviews with area seniors, establishing collections of historical artefacts and materials, developing interpretative trails and carrying out school heritage projects. Jack’s presentation will offer us a wonderful example of what another country community has achieved in capturing and celebrating their area’s history. Of particular interest will be how they actively support intergenerational events and projects where young people and seniors come together. Young people enjoy hearing old stories, and technology can be a great way of making history available in a way that interests them. Lectures run from 1:30 to 2:30 p.m. and are followed by coffee/tea and homemade treats. If you have any questions about the lectures, please contact Vivian at vivian@eastlink.ca. 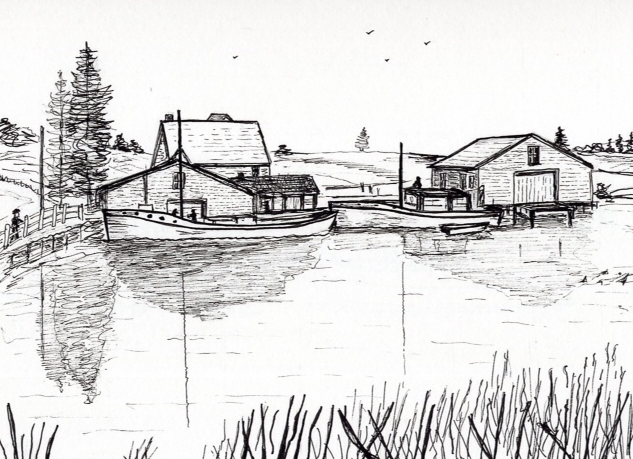 Doreen Beer Pound, a lifelong resident of Clyde River, has expressed an interest in recapturing some of Clyde River’s past in watercolour and pen. 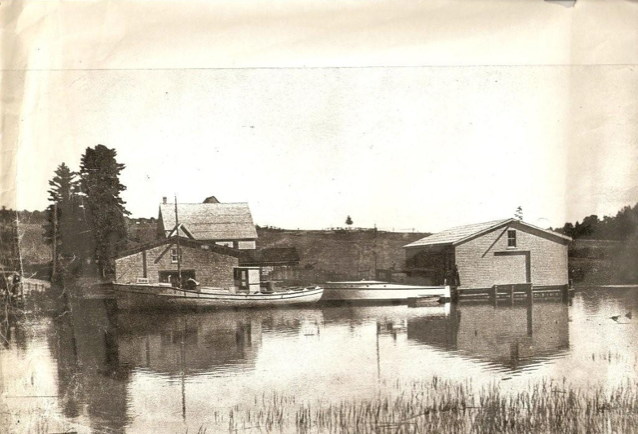 She is accepting submissions of photographs of homes, barns, businesses, buildings, items, or scenes depicting early times in Clyde River and area. If you or someone you know has a photo(s) that you feel would be of interest and might be suitable, please contact Doreen at doreenpound@gmail.com or at 902-675-2466. Each submission should include some background information, i.e., location, when it was built, by whom, who lived/worked there, type of business with brief description. If it is a photo of an item, explain what it is and what is was used for. She will select from the photos and create art featuring watercolour and pen that will be displayed at a public showing later this year at the Riverview Community Centre. 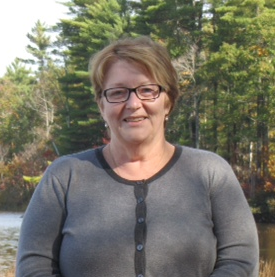 Doreen’s work will be her contribution towards the Prince Edward Island’s 2014 celebrations. It is her wish that our community’s history be recorded not only in word but also through art. Preferably she would like a good quality COPY of original photos that do not need to be returned. Doreen has been painting in both watercolour and acrylics but prefers working with watercolours and pen where she has developed a style she particularly enjoys. 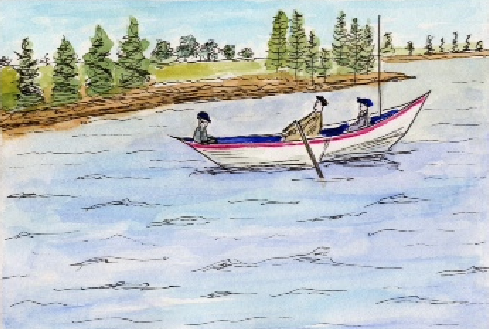 She credits Julia Purcell, well-known local artist, with introducing her to the fascinating world of sketching and intricacies and magic of watercolours at LEAP, Learning Elders Art Program, held in our community for a number of years along with PEI Seniors College. She has also studied under Henry Purdy, Mary Curtis, Geraldine Ysselstein, Susan Christensen and Anne Gallant, all well-known and respected Island artists.